Hey everybody! 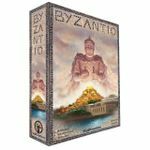 This is a geeklist I made predominantly for my own use, which lists the top 100 games I'm going to be trying to see at Essen this year (plus 16 expansions). And yes, I know that seeing 100 games (plus expansions) in just a few short days is a pipe dream, and I'm not likely to succeed, which is why the list is ordered as a countdown, sort of. I needed to prioritize, so making this list was a useful thought exercise for me. Please feel free to let me know of anything I missed that I should have included! 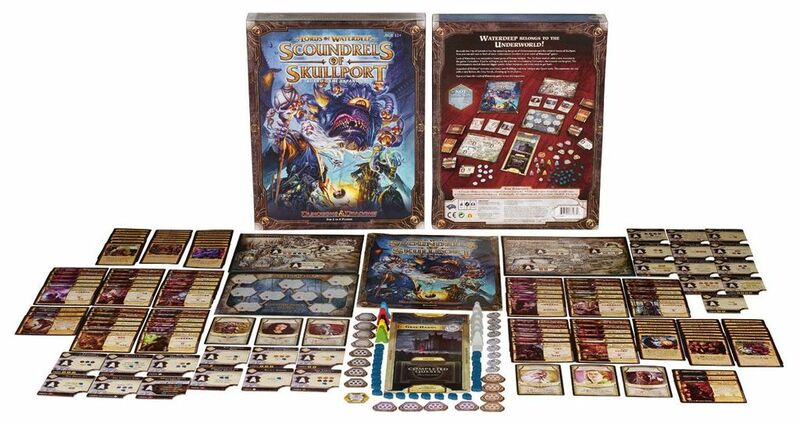 First up, we have the 16 expansions I'm most interested in. Let me know if I missed any worth mentioning! 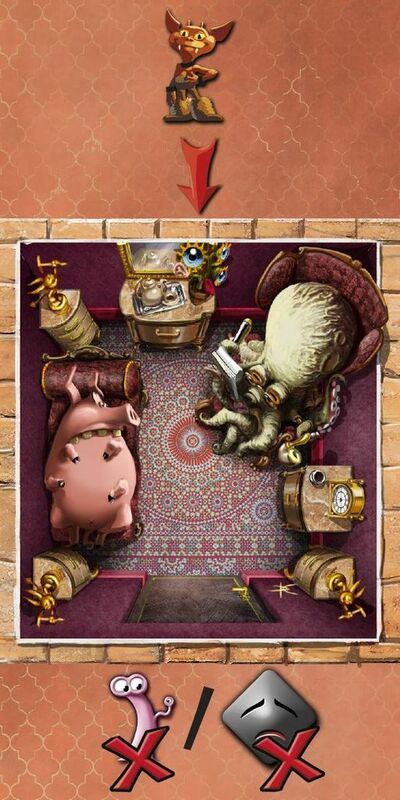 Rattus: Mercatus includes twelve new class cards featuring the characters mentioned above and others. 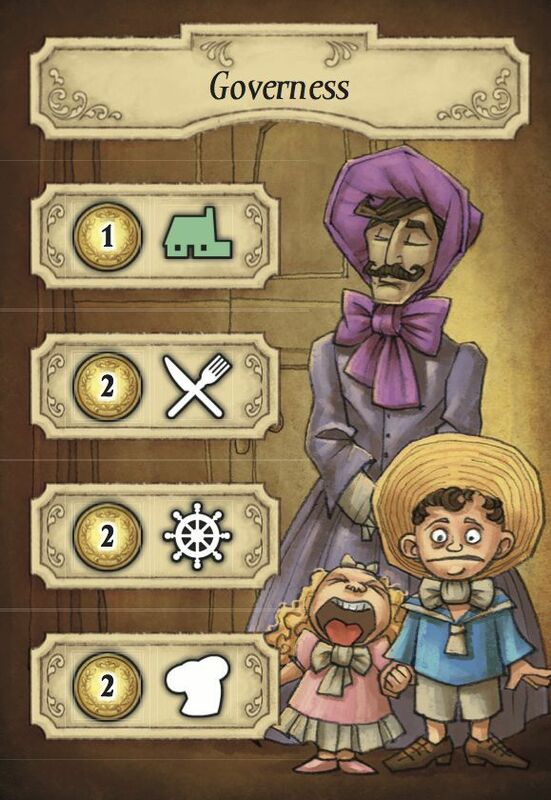 These characters allow you to collect goods and use money to perform special actions. 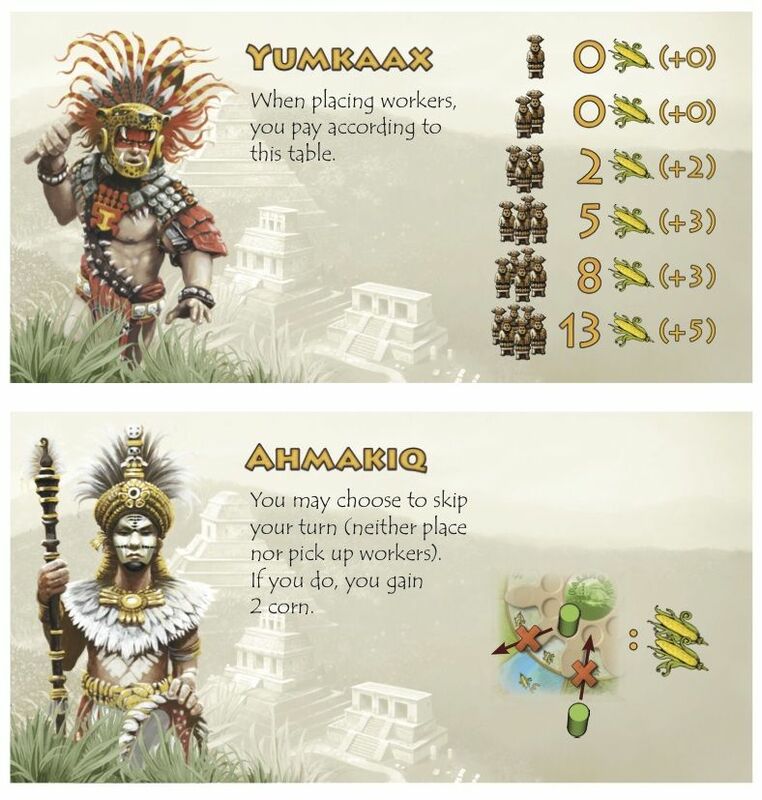 Rattus: Arabian Traders, a mini-expansion that requires both Rattus and Rattus: Mercatus, includes four new class cards. If you add in the Rattus: Africanus expansion as well, you can play with up to six players and use the new Islamic class cards. 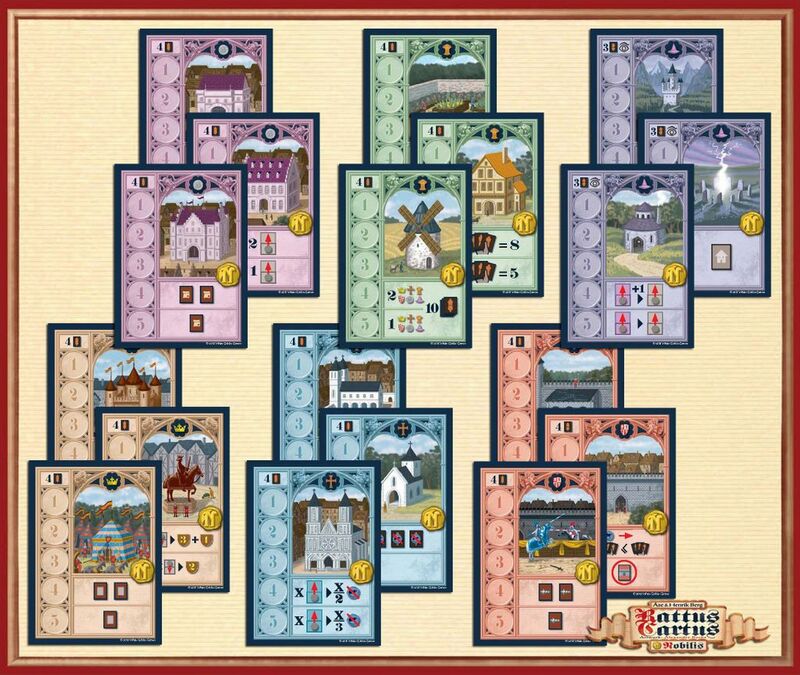 Rattus Cartus: Nobilis, the first expansion for Rattus Cartus (a card game based on the Rattus board game) includes 18 different buildings with players using all or only some of them each game to provide a wide variety of play. 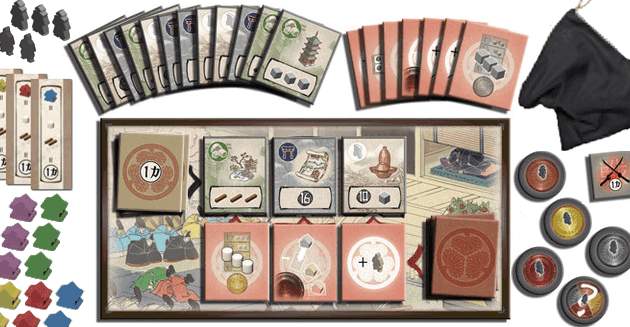 This first expansion also includes special cards (Books, Horses, Lances, Privilegs, Wizard Staffs and Diplomats) and extra rat tokens; a second module in this expansion includes noble tokens. The goddess Freya can permanently increase the value of the other beings. The resourceful Dwarf taps the power of neighboring gods. The monstrous Niohoggr hoards extra benefits for anyone brave enough to defeat it. And the swift flying Raven can score twice in the same turn! 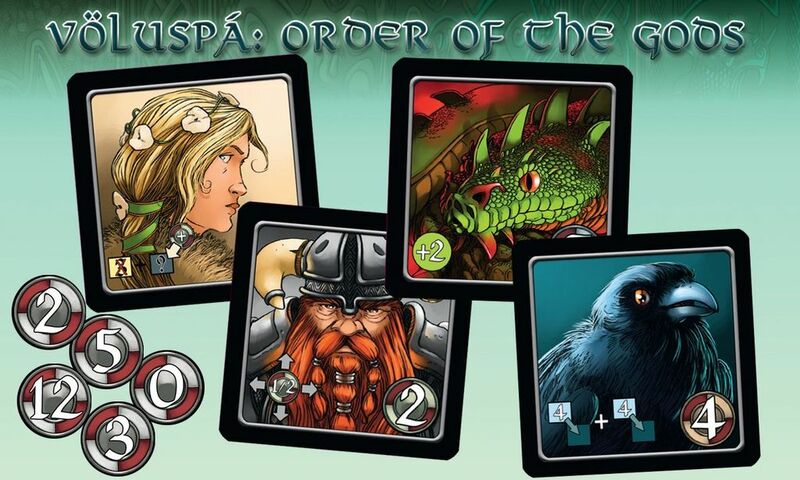 Play these new tiles with the Völuspá base game, or blend tiles from the Order of the Gods expansion with tiles from the Saga of Edda expansion. 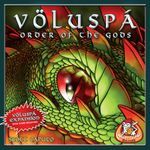 Four recommended game set-up variants are included, and many other variants are possible, enabling you to enjoy Völuspá and these expansions in many different ways. 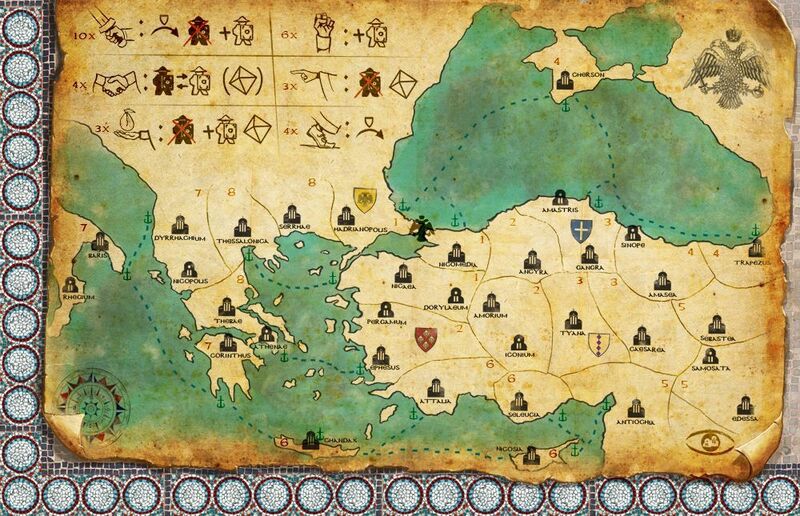 The possibilities in Völuspá are more endless than ever! 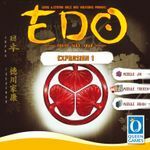 Edo: Expansion #1 expands the Edo base game with three new modules – Jiin, Tokken, and Ronin – and each module can be used individually or combined with other modules. 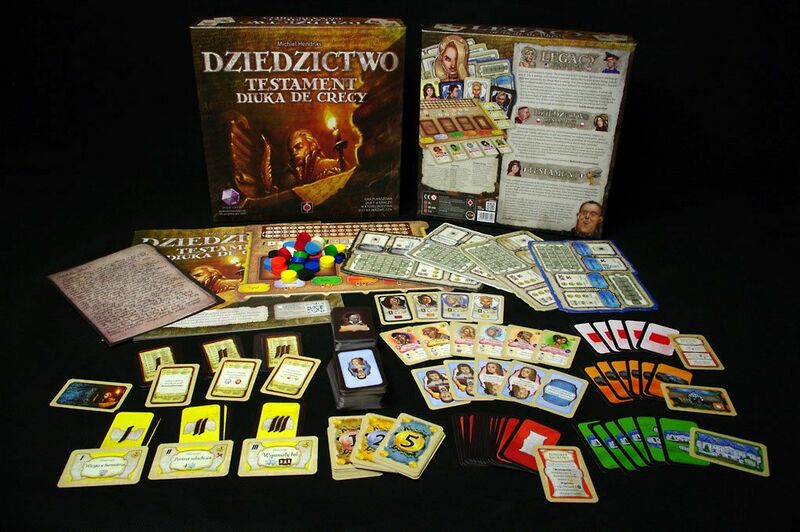 The expansion also includes material for a fifth player, allowing for play of the base game and all its expansion modules with 2-5 players. Class 3C is a toroidal spaceship with the top of the 6x6 tile grid wrapping around to the bottom and the left side wrapping around to the right. Since lasers require an empty space in front of them – and engines an empty space behind them – your ship must have holes in it to accomodate those building requirements, and the larger and more numerous the holes, the more you must pay in insurance costs prior to launching your spaceship. 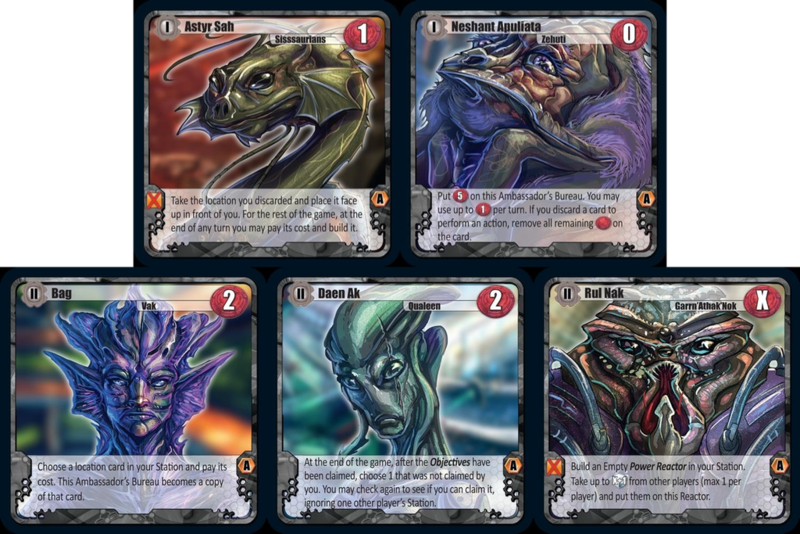 Among the Stars: The Ambassadors is a boxed expansion for Among the Stars featuring more than 150 new cards. Apart from the Ambassador cards, it includes more than twenty different new Locations, new Objectives, and a new Alien race. 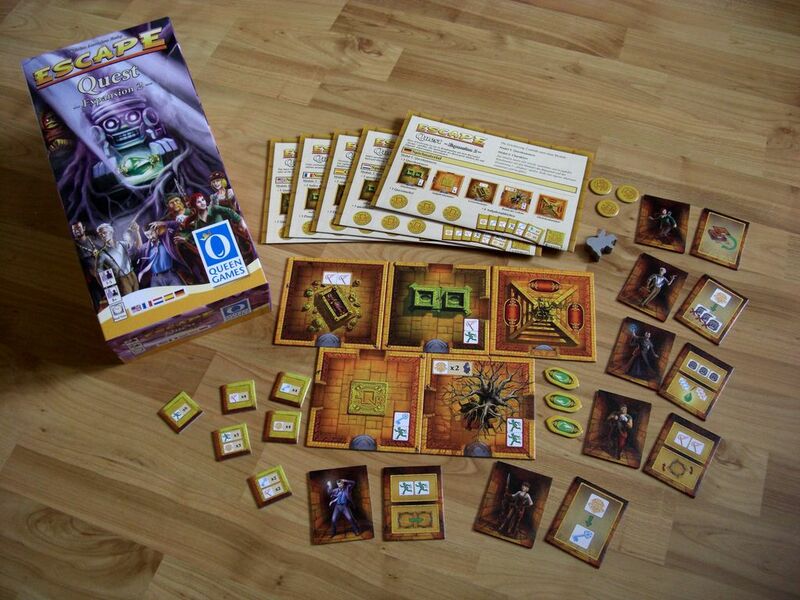 It also inculdes material for the 5 and 6 player! 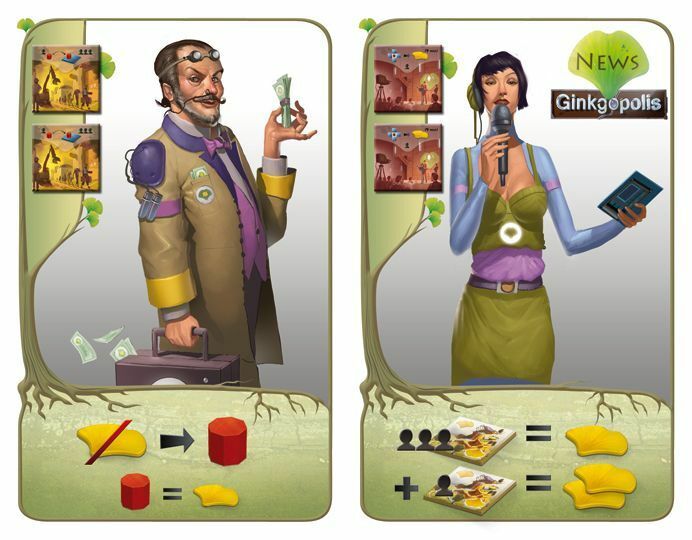 The Experts is an extension that adds the game Ginkgopolis. It can be played separately. The success of Ginkgopolis attracts experts from all disciplines (artists, engineers, bankers, journalists ...) who want to enjoy its success. Competition of ideas and press campaigns succeed to discover the avant-garde buildings, which are more impressive. So large, it becomes necessary to provide green spaces for better ventilation this boomtown. And it should not be the speed of construction make you forget the standards expected ... a call to order may sometimes be useful! Snowdonia: Britannia Bridge is a scenario for Snowdonia created by designer Tony Boydell and publisher Indie Boards and Cards to commemorate the second edition of the game; this scenario is available directly from IBC at conventions. 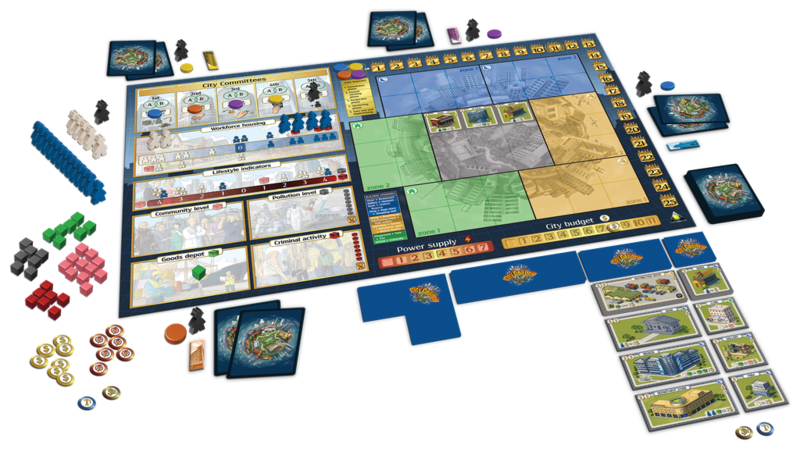 Snowdonia: Britannia Bridge includes a trio of tweaked contract cards and a new engine – The Dawn Raider – that allows its owner to build track instead of the game (if he wants) whenever the game would build track due to an event. Snowdonia: The Daffodil Line mixes up the conventions of the game by adding daffodil collection (! ), stone breaking, and canal filling. The Daffodil Line is a limited run of approx. 750 copies. 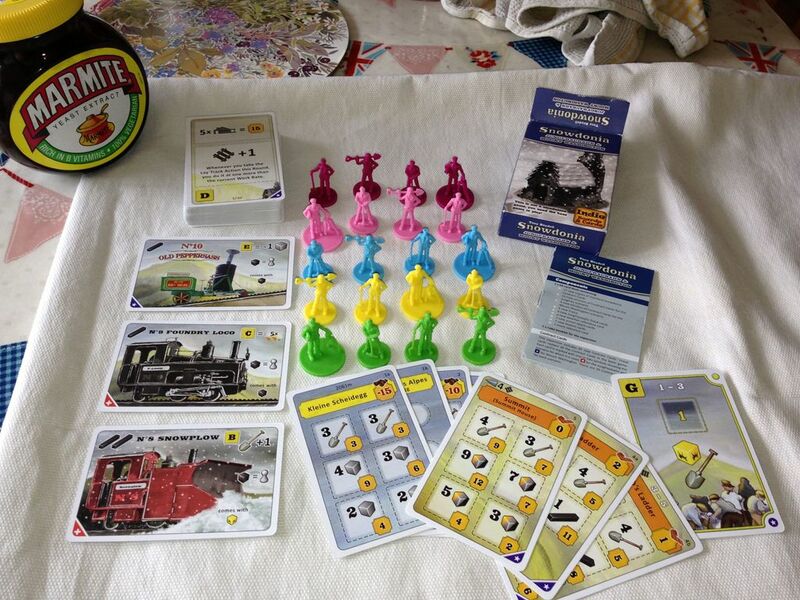 No 1 L.A.D.A.S (lost) Promo Card is FREE to build (but the player still needs to take a Build action and the game must have had the train build event) and comes with three rubble cubes on it. Whenever the player takes the Surveyor action (i.e. go wandering up the mountain), take one of the rubble cubes off of this train card. 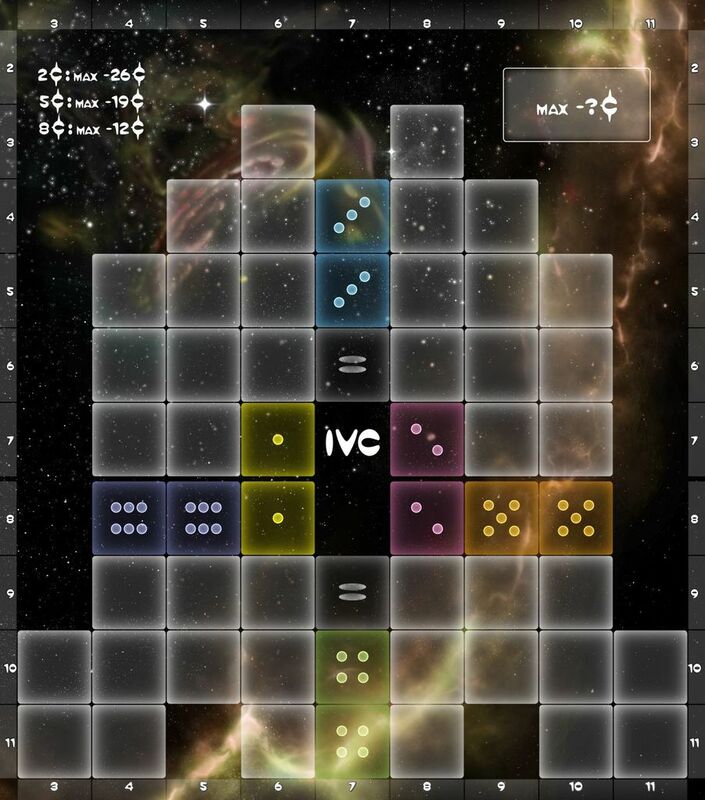 If there are no rubble cubes on it at the end of the game (and the player still 'owns' it), then it's worth 9VP. This DOES count as a train for the purposes of "one train only" and the train upkeep event! 8. The Bells – The bishop wants a new bell for the cathedral, and the fresco painters can contribute by buying "bell certificates", gaining prestige (victory points) immediately and additional prestige at game's end depending on how much they contributed relative to everyone else. 9. The Wall Fresco – By refreshing sections of a wall fresco, the players can gain fame, glory, and a regular paint supply, thus saving money. What fresco painter would pass up such an opportunity? 10. The Medico – The time schedule for restoring the fresco is hard enough to meet, but now the apprentices are taking ill, one after the other. How can you finish the work on time? 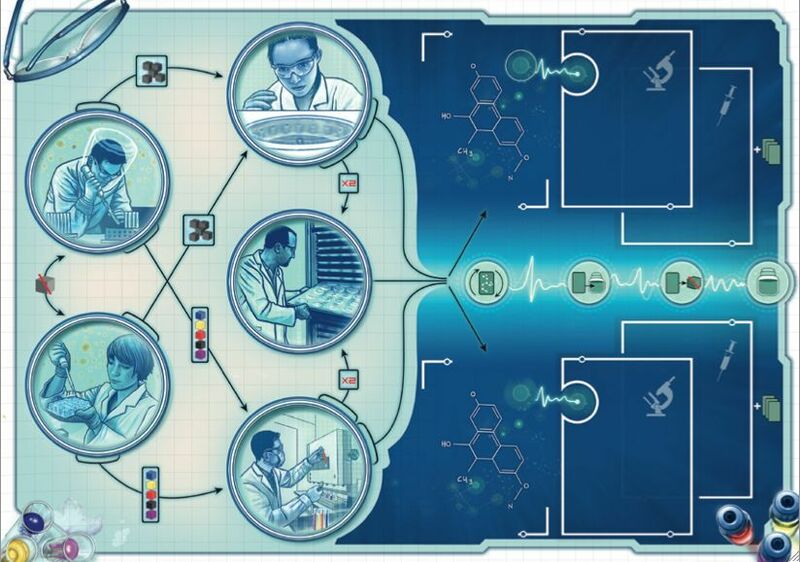 Only skillful planning and the healing drugs of a traveling medico at the market will help. 18. 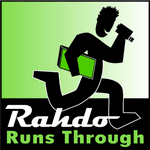 GeekList: Rahdo Runs Through... Games! And now for the countdown proper, games 100-1. But wait, not quite. The first 6 items in the countdown aren't in any sort of ranking... they're actually games that I've already played, in prototype form, and posted runthrough videos of. There's a link to each video in the entry if you'd like to know more. Since I've already played these, it didn't seem right to me to rank them against the other games which I haven't played yet, so I listed them separately in this block. 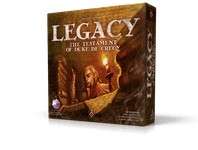 Nekken is a fantasy-themed implementation of this game using the exact same materials as Byzantio and with a map on the reverse side of the game board, giving a different game experience and essentially two games in one. Four tribes have been living in peace for over 3000 years despite the ancient hatred of each other. United in the capital city Nekken, they slowly forgot their fear of the large volcano that looms over the metropolis – until the volcano erupted. 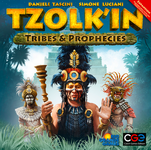 Forced to abandon their homes, the tribes spread throughout the continent, facing danger in many forms while trying to establish new colonies. 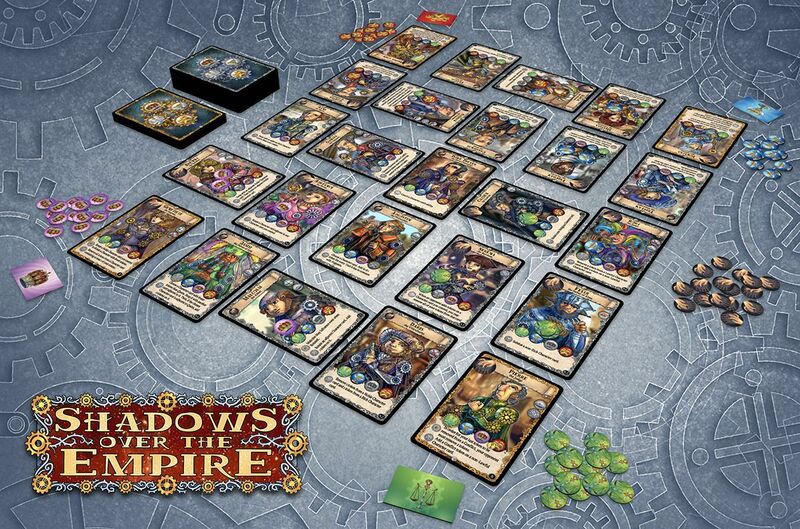 Their ancient hated has also been awakened and now they must struggle to survive. However, they still need each other, a new cold war emerges in the shadow of the searing heat of the volcano. 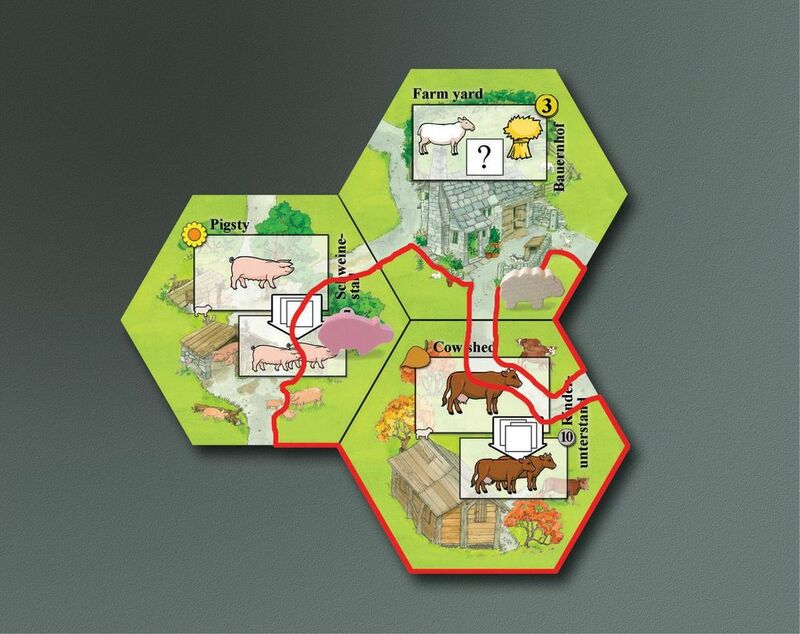 In Nekken, each player takes the role of a leader of their tribe and tries to be the one who will prevail and become the ruler of this new society. The goal is to achieve prestige through the establishment of new and glorious cities, using actions to move their leader on the map, exploring, establishing cities, betraying friends to achieve their objective. Hopefully no other ruler intends on settling in the same place! Toward the end of the 6th century A.D., King Ethelbert of Kent established the old Roman city of Canterbury as his new capital. 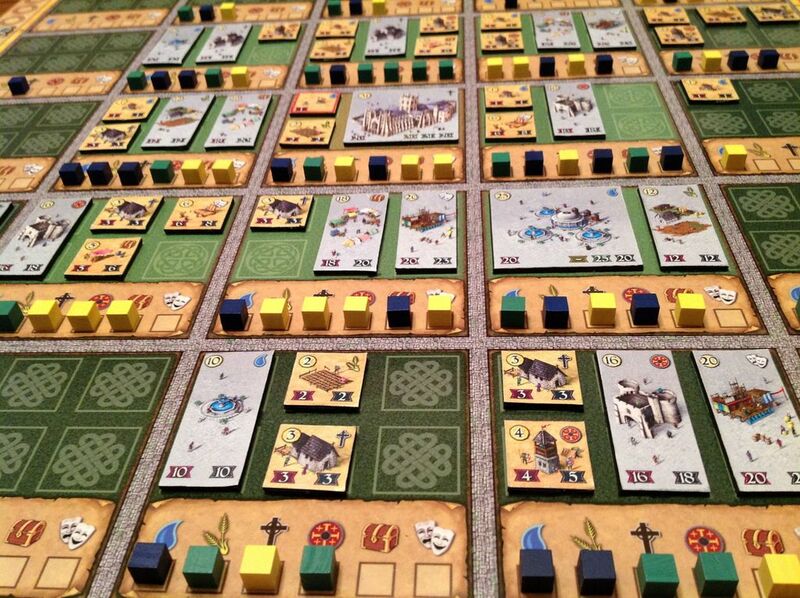 In Canterbury, 2 to 4 players represent Saxon Lords who are charged with building the city into a prosperous capital. 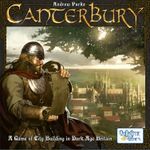 The Saxon Lords must use the city's meager starting resources to build up the 25 districts of Canterbury and provide key services to its citizens. The key services are (in order from most basic to most prestigious) water, food, religion, defense, commerce, and culture. As new structures are built in the city, the city grows more prosperous. While each Saxon Lord jealously guards his or her own prosperity and achievements, they all benefit as a whole from the growing prosperity of the city itself. 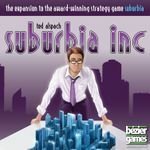 When the city reaches the peak of its prosperity, the game ends and the player with the most individual prosperity wins. No, in Gear & Piston you play one of the unsung heroes of history, an engineer of meagre means but great ambition, trying to build a prototype for picky investors seeking to profit from the future of transport. 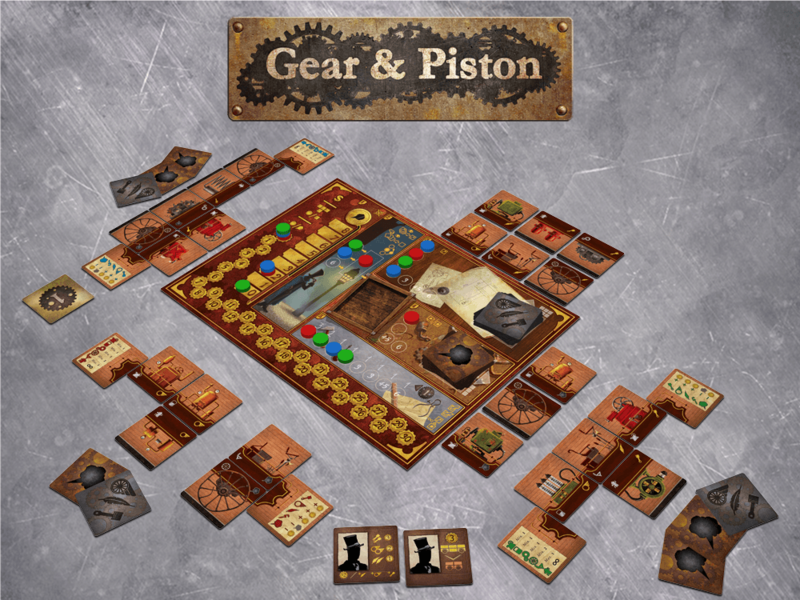 Will you make a name for yourself as an automotive pioneer, change the history of motorized transportation, and win the race that is Gear and Piston? With a lot of skill and a little luck, maybe. If nothing else, try not to blow yourself up in the process. 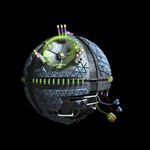 In the game, each player builds an automobile prototype by taking actions in different locations. 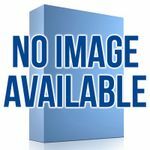 You may patent brand-new parts in the Patent Office, look for rejected, volatile pieces of machinery in the chaos of the Junk Yard, try to gain an edge through the Back Alley, and finally build your prototype in the Workshop. All this just to please the two investors who are doing the rounds of the different engineering outfits, and who will be evaluating your rickety mess of an automobile. Good timing, keeping an eye on your competitors, and even a dash of luck are all you need to succeed in this business. So grab a wrench, some elbow grease and your wits, and put some gears and pistons together! And now, without further ado, the countdown of the "other" 94 games (the ones I haven't played) of Essen 2013! AAAAAAAND... GO!